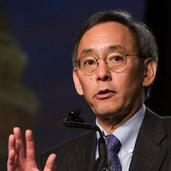 Dr Steven Chu, former Energy Secretary under President Obama, will deliver the 2014 S T Lee Lecture on 10 November in Cambridge. Science and technology such as the industrial and agricultural revolutions have profoundly transformed the world. In his talk, Dr Chu will first discuss an “epidemiological” approach of assessing the risks of climate change, and then provide a perspective on how we can mitigate the risks with science, technology and policy, so that sustainable energy becomes the low cost option. Steven Chu is the William R. Kenan, Jr. Professor of Humanities & Sciences and Professor of Molecular and Cellular Physiology at Stanford University. From January 2009 until April, 2013, Dr. Chu served as the 12th U.S. Secretary of Energy under President Barack Obama.